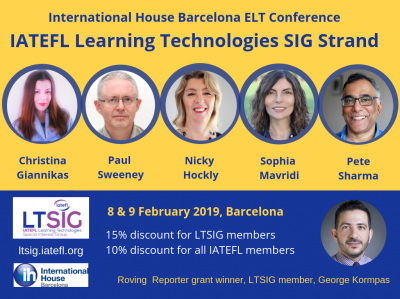 As part of our countdown to the International House Conference in Barcelona, which takes place on 8/9 February, this is the second of five posts which focus on the speakers on the LTSIG strand. The IATEFL Business English SIG and IATEFL Leadership and Management SIG will also be there. Next up is Paul Sweeney. Most people will be familiar with the idea of storyboards: a visual outline that easily conveys a series of events, often a planning tool in filmmaking. As an approach or tool, Storyboarding is often transferrable to educational settings but underused in the language classroom. If it comes up at all, it may do so as framework for a film script activity or a more general pre-writing preparation. However, it can be much more flexible than this and we will explore a variety of ways it can be used. Informed by ‘real world’ e-learning processes, this practical session will look at how Storyboarding can provide a framework for extended teamwork and creativity as well as be used as a means of relating to visual media – an ever-greater part of learners’ worlds. After training, some practitioners use storyboarding as a means of interpreting texts, engaging with poetry, unpacking or synthesising a narrative. What will you do after this session? Paul Sweeney started off as an EFL teacher in Spain and also worked for long periods in Portugal and Italy. He became involved with e-learning and content creation when it was neither popular nor profitable and sees no reason to change now. 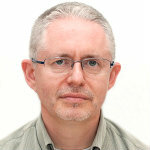 He is a past Coordinator of the IATEFL LTSIG and lives in London. Gonzalez, D., Palomeque, C., Sweeney, P., (2011) Teaching Spanish in Second Life, . , in Digital Education Opportunities for social collaboration, Thomas, M (Ed.) – Palgrave Macmillan.